Steampunk Truck Race You are going to have a trip on a steep steam punk monster truck. But evil robots, dangerous machinery, devious traps and enemies on dirigibles want to stop you in this steampunk city. Your task is simple - you need to get to the finish line quickly and stay alive. Accelerate, use the protective umbrella and a fire extinguisher to survive. 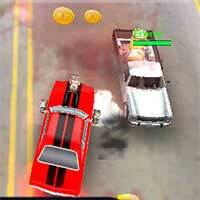 For each level you will earn money that can be spent on improving the car. 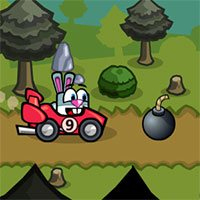 to obtain the maximum amount of points you need to try to earn all the achievements.